High performance rollers offer excellent compaction results. The RD 12 one ton roller series features dual drum drive and articulated steering for extremely accurate control. Front drum vibration with static rear drum leaves a quality asphalt finish. 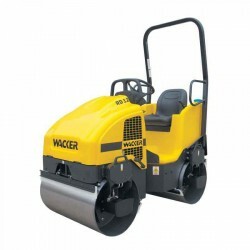 Outstanding overall roller performance and a high exciter frequency allows compaction at faster speeds while still delivering even coverage and excellent results. FeaturesPressurized water system offers consistent water flow. An eight-position timer allows operat..
High performance rollers offer excellent compaction results.Wacker Neuson's RD 12 one ton roller ser..
Wacker Neuson's RD 12 one ton roller series features dual drum drive and articulated steering for ex.. 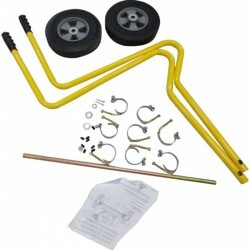 Accessories for Centrifugal Trash PumpsWACKER KIT-TRANSPORT WHEEL (PT2/A) 5000154665.. Accessories for Centrifugal Trash PumpsWACKER KIT-TRANSPORT WHEEL (ALL PT3 PUMPS) 5000111660..